Rock Run in Pennsylvania's Lycoming County. Photo by Neil Ever Osborne/iLCP. Tell legislators considering budgets at the state and federal levels to follow-through with more investments in clean water that protect the health, livelihood, and economic welfare of every Pennsylvanian and those downstream. 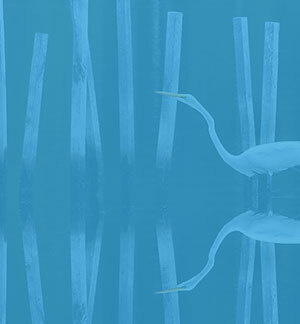 The Chesapeake Bay Foundation's (CBF) State of the Bay report indicates that the Clean Water Blueprint is improving the health of the Chesapeake Bay, but Pennsylvania's efforts lag far behind the other principle Bay states. Unfortunately, the message hasn't changed much in recent years. Roughly 19,000 miles of the Keystone State's rivers and streams are harmed by pollution. Agriculture is the leading source of water pollution, so Pennsylvania needs more acres of stream-side trees, fewer cattle in the streams, and healthier soils. But at the state level, Pennsylvania's investments in pollution reduction are an affront to all who care about safe water. The proposed budget for fiscal year 2017-18 is the second consecutive plan since the Commonwealth committed to a new clean water strategy that does not include adequate investments in the right places and on the right practices to ensure Blueprint success. General Fund support for the Department of Environmental Protection (DEP) has been cut by $94 million since 2002-03 and the agency has 800 fewer staff members. Pennsylvania's investments in Growing Greener programs that support conservation districts, stream restoration, stormwater efforts and more, have gone down 75 percent in the last 16 years. Reduced financial support for DEP, the Department of Agriculture, and the Department of Conservation and Natural Resources, seriously threatens their abilities to assure public health and provide clean water that is the right of every Pennsylvanian. The Environmental Protection Agency notified the DEP, and it should be a warning to Pennsylvanians, that because it lacks resources, the agency cannot enforce minimum federal safe drinking water regulations. In addition to increasing support through in the General Fund, we urge state lawmakers to pursue additional sources of revenue, so the Commonwealth can meet the commitment it made to its citizens to help restore and protect our rivers and streams. Ninety percent of Pennsylvanians who responded to a 2015 Penn State University survey said they support investments in saving clean water, forests, and farms. Investments in federal Farm Bill programs also play a critical role in the ability of Pennsylvania farmers to reduce pollution, improve soil health, and make their farms more profitable. CBF has joined the Pennsylvania Farm Bureau, conservation districts, Audubon Pennsylvania and 500 other organizations nationwide asking members of the congressional Budget and Appropriations committees to reject calls for cuts to 2018 Farm Bill programs. We expect Pennsylvania's own members of Congress to remember that clean water counts, and to likewise protect Farm Bill investments. Clean water is a legacy worth leaving future generations. Legislators at all levels must remember that the health, way of life, and economic well being of every Pennsylvanian depend on it. Pennsylvanians: Take action today to urge your legislators to invest in protecting the state's rivers and streams. Our health, way of life, and economic well-being depend on it.